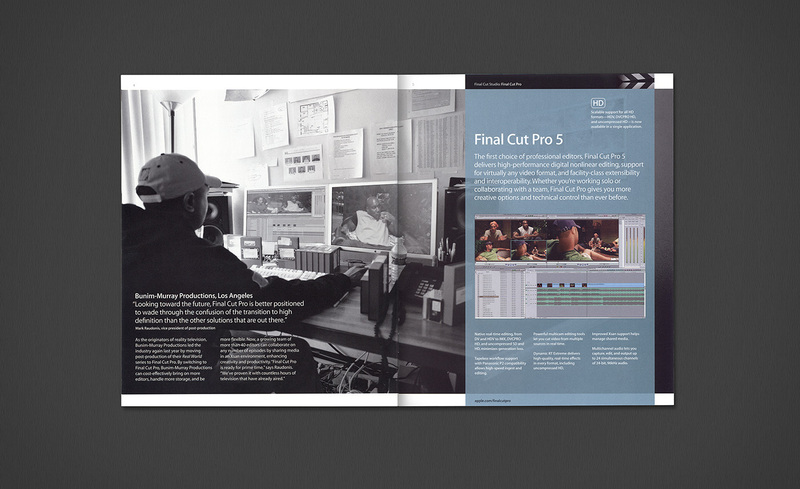 This booklet highlights all the component applications in Apple’s Final Cut Studio suite. 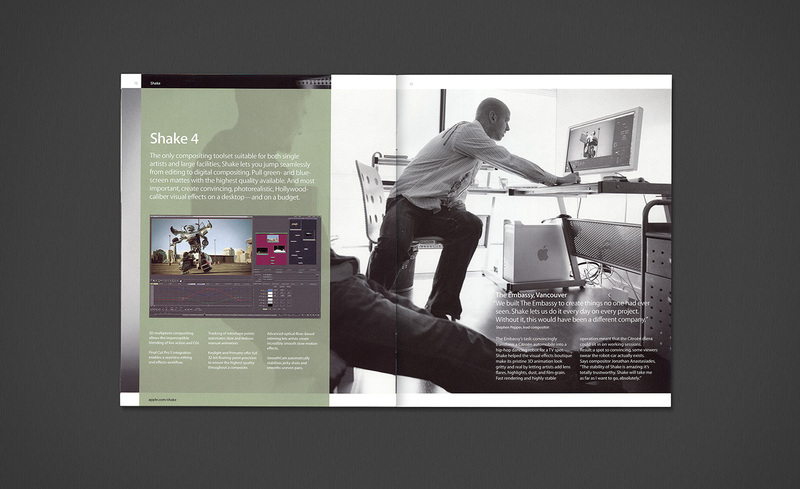 Each application is featured on a spread with an editorial-style story about a creative professional who uses that software. 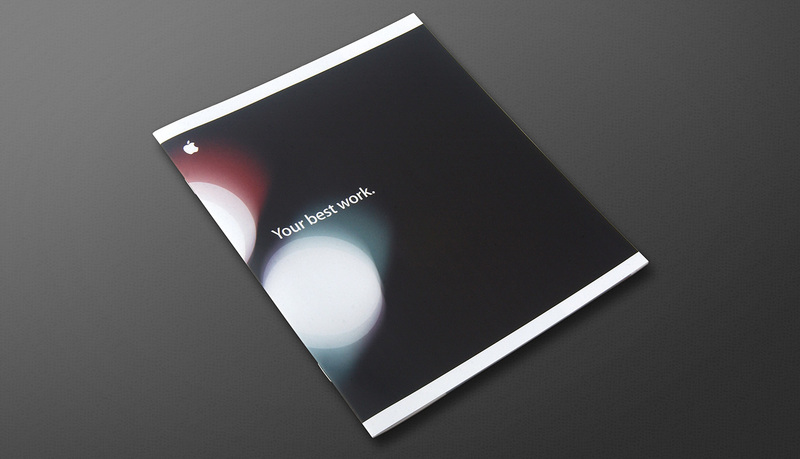 Case studies were a good way to talk about features and show the professional level of the applications. The piece was distributed at the National Association of Broadcasters conference.